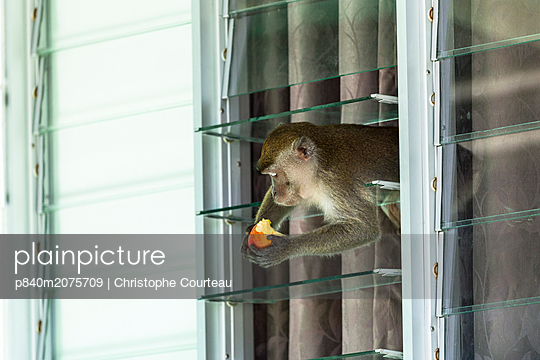 p840m2075709 - RS - Crab eating macaque (Macaca fascicularis) stealing food from tourist bungalow by climbing in through the window, Bako National Park. Sarawak State. Borneo. Malaysia.